One of the most common and serious knee injuries, affecting one in 3,500 people is a tear or rupture of the ACL. Most are sports-related involving a twisting injury. If the knee changes direction suddenly, or suffers a direct blow – such as hyper-extension during a tackle – the ACL may be stretched beyond its normal range. This can tear the ACL or separate it completely from the bone. When this happens, the patient may report hearing, or feeling, a popping noise. Swelling usually occurs within the hour and it is very unlikely that the individual will be able to continue playing. Once the initial injury has settled down, the main complaint is “instability” or “giving way”. 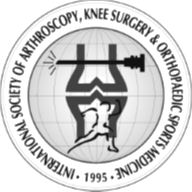 A complete tear of the ACL can cause recurrent knee instability, which prevents a return to rigorous activity. If a torn ACL remains untreated, the knee can continue to “give way” during normal daily activities. a history of the injury (this is most helpful to making a diagnosis). a physical examination – if the patient is adequately relaxed, has no pain and little swelling, an examination may reveal points of instability. an anterior drawer test – classified as Grade 1 (-0-5mm), Grade 2 (5-10mm), and Grade 3 (>10mm displacement when compared with the normal side). An MRI (magnetic resonance imaging) scan is very helpful to determine the extent of the injury, and can also identify other intra-articular pathology e.g. meniscal tears/concomitant ligament injuries. Initial treatment follows the RICE rule: Rest the joint, Ice the injured area to reduce swelling, Compress the swelling with an elastic bandage, and Elevate the injured area. In the longer term, not everyone needs surgery, but the patient should give up twisting sports if they have a deficient ACL. employed in dangerous occupations (i.e. painters, roofers, firemen, policemen, etc.). In Queensland, the standard of care for primary ACL reconstruction is to use the hamstring tendons. Patellar tendon grafts are usually reserved for revision cases. Ligament augment devices (e.g. LARS) are controversial and are not currently recommended by the Australian Knee Society. While occasional use of allograft may be considered, it must be fresh-frozen and is, therefore, difficult to find. soreness, which may persist for 2-3 months after surgery. patella baja (scarring decreases patella’s height). The Brisbane Knee and Shoulder Clinic’s ACL Rehabilitation protocol is available on our website. Please click here for full details. could be put at further risk at work from an unstable knee. Tanaka M, et al. Knee Surg Sports Traumatol Arthrosc (2012) 20;737-742 What does it take to have a high-grade pivot shift?